Managing online projects can be challenging and demanding. You have to track the progress of your business, manage your remote team members, and attend to the needs of your clients. But through utilizing the best online project management tools, your daily tasks can be easier to handle. They can also make you more productive and help you achieve work-life balance. The internet is overflowing with different apps and software. To narrow down your search, we gathered the best tools in workflow management, invoicing, video conferences, communication, and user onboarding. Here are the best online project management tools that can help you stay on the top of everything. Redbooth is a simple task and project management software that is specially designed for teams. It helps in prioritizing tasks, collaborating productively, and staying focused as a team. Task assignment is easy with this tool. By simply looking at its clean landing page, you’ll know who’s working on what. The software also has everything you need to plan and manage a project from the beginning to the end. It has templates, chart builders, team workspaces, productivity reports, and file sharing. Projecturf is made for large companies, small enterprises, and even freelancers. Trusted by big brands like The Huffington Post, Spotify, and American Eagle Outfitters, Projecturf is a real-time collaboration workspace. Its interface is simple, straightforward, and easy to navigate. Projecturf will help you handle your team like a pro with their powerful business tools. 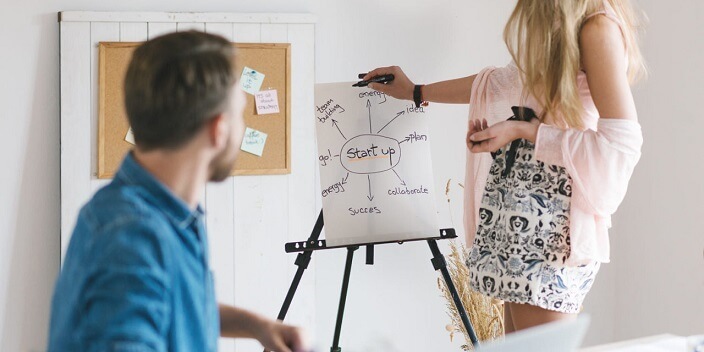 Here you can easily work with your partners, create projects, schedule events, track time, and jot down notes from meetings. Apart from its ability to create and manage projects, this tool can also help you organize your contacts. In Apollo, each contact has its own page, which contains conversation history, co-workers’ notes, important dates, and task assignment. Apollo is also equipped with interactive timers that are always available on the left side of the screen. It has a time report generator as well that can help team managers check what their team has been up to. Another top favorite, Freedcamp is used by large companies such as Airbnb, Paypal, and GettyImages. Freedcamp is a collaboration and project management tool with tons of useful features. Here you can create a Task List, split large tasks into smaller subtasks, and discuss ideas with your team. It also has a Kanban board – the modern way to manage tasks by dragging into completion columns. This online meeting software has around 16 million worldwide users per month. This tool is perfect for professional meetings, especially if your goal is to close a deal fast. GoToMeeting allows you to conduct meetings with the help of your phone or tablet. You can even customize the team setting according to your needs. 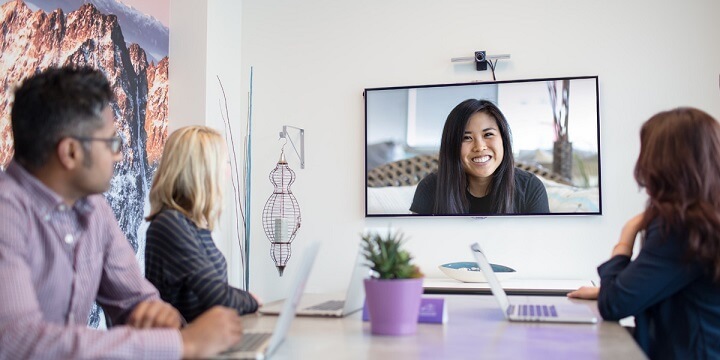 It also has InRoom Link, which lets you join a session from your existing system and experience the GoToMeeting experience to your video conference room. It works flawlessly with conference room systems from Lifesize, Cisco, and Polycom. Cisco is ideal for teamwork, presentations, training, and webinars. This tool has flexible offerings that can scale well with your needs as your business expands. 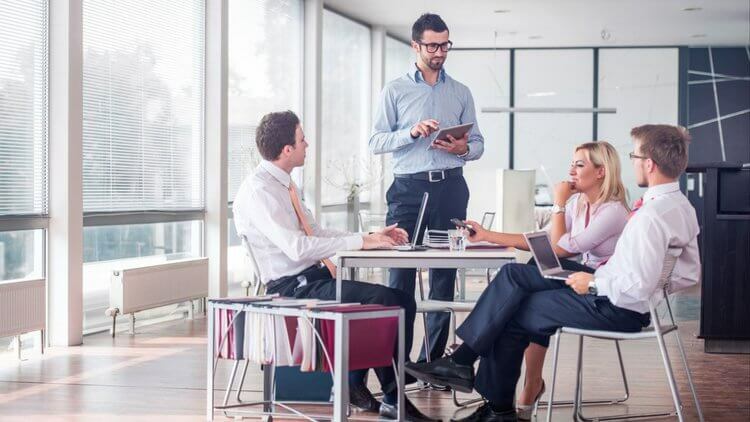 It lets you share your screen with your team, record the whole meeting including the content shared, and personalize video conference rooms. Zoom lets you host meetings easily. Aside from proving HD video and high-quality audio, this tool also has integrated scheduling. You can also record the meetings and share your screen with the other attendees. RingCentral is a video conferencing service that can fit your business’ needs. It’s easy to set up and manage. It has reliable servers too. It also lets you enjoy HD video meetings, instant messaging, internet fax, and virtual numbers. Google Hangouts allows you to have a one-on-one conversation or include your teammates in a group chat. You can also share pictures, GIFs, maps, emojis, and stickers to them. With just a tap, you can turn the chat into a video call. It can also be used for group calls with up to 10 people. Slack is a popular collaboration and communication tool. Here, you can create Channels and invite the right people to it. This makes the conversation secured and relevant to everyone. Slack is also easy to use, and its interface gives a transparent view of everything that’s going on. Built for freelancers and solo entrepreneurs, Sighted is an affordable yet great invoice tracking software. 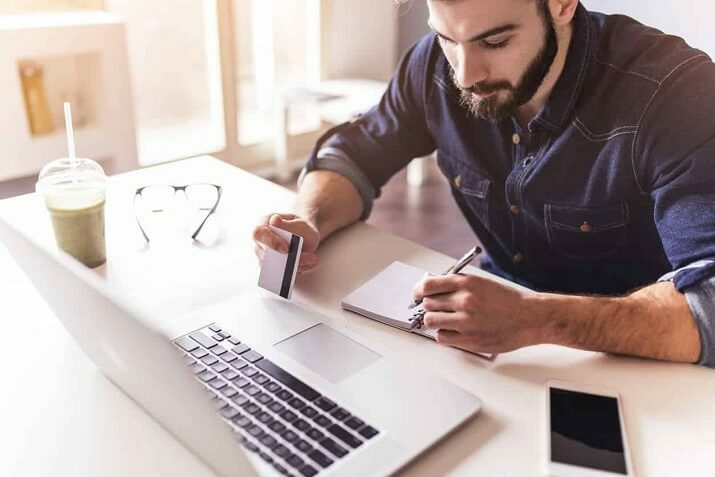 It lets you customize invoice and receipt designs, integrate online payments, and track your expenses. Due makes online payments simple. Its dashboard helps you keep all of your payment information in one place. Due also has Digital Wallet, which will allow you to instantly pay and get paid through Due Cash. This Digital wallet is also designed to split a bill and reimburse expenses. FreshBooks aims to make accounting easier and less time-consuming. It lets you create professional looking invoices, organize expenses, and track your time. Since it has a mobile app, you can connect with your clients and take care of accounting anywhere. Hiveage is an online billing service for freelancers and small businesses. You can use this tool to send invoices and get paid in an instant. It can also track time, expenses, and even supports mileage tracking and invoice. If you’re looking for a tool that can help your target customers understand your products, this tool is for you. Whatfix has a real-time guided walkthroughs that can be used for onboarding, training, and proactive support. It also converts the walkthrough to formats like articles, videos, slideshows, and PDFs, which you can repurpose in the future. This tool works best for websites that need to demonstrate their products to new users or visitors. Introjs will help you represent your products or services through creating a step-by-step guide. This free app is designed for both web and mobile developers. Vero is an event-driven email platform that can help you understand data about your users, including their behavior. This is ideal for personalizing marketing email campaigns and setting up automated emails. LiveChat lets you chat with your website visitors when they need help. By using this tool, your potential customers don’t have to wait for email replies or phone messages. You can respond to their concerns faster. Drip is a marketing automation platform that keeps your users engage in their onboarding. It lets you create and send customers emails that drive sales and deepen relationships. It also has useful customer tracking features such as website activity, email behavior, purchase behavior funnel progress, and custom events. In addition, Drip has different integration tools that can turn customer data into action. 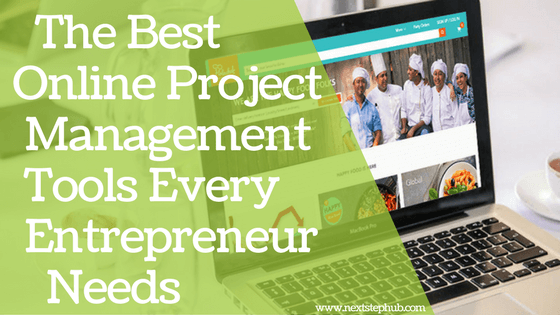 Are you using these best online project management tools? What are your favorites? Tell us in the comments!